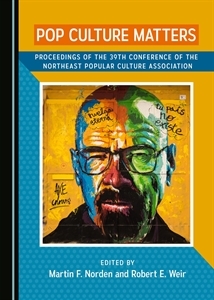 The World Literature area for the 2016 Northeast Popular/American Culture Association conference is accepting paper proposals from faculty and graduate students. NEPCA’s 2016 annual conference will be held from October 21-22, 2016 at Keene State College in Keene, NH. The NEPCA World Literature area welcomes papers that explore both individual works of world literature as well as contemporary issues in the field of World Literature. Questions under consideration could include how to understand what world literature is, how popular culture intersects with works of world literature, how best to teach works of world literature as well as the exploration of current trends in postcolonial, world and comparative literatures. Please submit paper proposals of 250-500 words to the World Literature area chair Susan Gorman (susan.gorman@mcphs.edu) by June 15, 2016 via the paper proposal form available on the NEPCA website. Please ensure that your proposal is jargon-free and understandable to a broad audience. Your submission should also include a current CV. For more information, and to access a copy of the paper proposal form, please visit the NEPCA website: https://nepca.wordpress.com/2016-conference/.